A solvent-free acrylic emulsion providing a permanently tacky film for the removable fixing of “loose lay" carpet tiles. Enables tiles to be easily lifted and replaced when required. 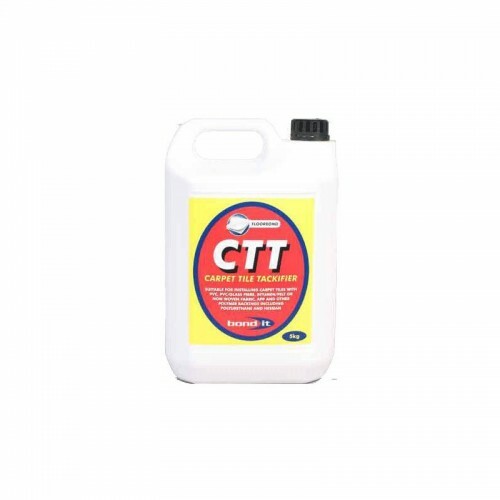 Non-staining, resistant to plasticiser migration and may be applied by either roller or brush. Recommended for installing carpet tiles with the following backing: PVC, PVC/Glass fibre, Bitumen/Felt or non-woven fabric, APP and other polymer backings including polyurethane and Hessian. Can be applied to most common substrates, including concrete, cementitious screeds, chipboard, hardwood, plywood and smoothing compounds and metal access floor panels. It may be used over existing well bonded resilient floor coverings provided they are thoroughly cleaned of any wax, polish or other contaminants.